This week during VBS I am teaching kids for the first time. I have the ‘teen’ class for crafts. 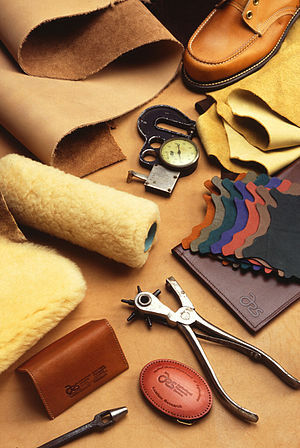 We are doing a leather craft class, which was proceeded Saturday by a demonstration to draw some interest and give them an idea of what we’ll be doing. By the weeks end they should have one, maybe two, completed projects to take home with them. I had 14 students last night and expect that I’ll have 12-16 each night this week. For the first night I started with some small pieces of leather that I let them case, the process of wetting to the right moisture content for tooling, and then bang away at it with different tools to get a feel for how the tools work. It was a fairly chaotic night if I were to be completely honest. But not an unproductive one. Tonight we will begin the first real project: leather bracelets. They are a rambuncious lot I must say. But they were fun to begin to get to know. It wasn’t all that long ago I would not have been able to do this project. I just did not have the patience to ‘fool with’ a bunch of teenagers. My, my, how God can change a person’s entire being if that person will let Him. This morning I am getting ready to tape and case the bracelets for the kids. I figure it’ll save me some valuable instruction time as well as make certain it is done right so they will get the best results. I am anxious to see how they act tonight, after getting a bit of a feel for the tools and me, for that matter; I don’t really know any of them. I look forward to getting to know them this week. Yeah, that is another thing a few years ago you would n ot have heard me say. LOL And I am eager to see what they each decide to do with their projects, how they’ll decorate them and how much effort they put into thinking through the design, coloring, etc.